Oh my, what a hard-to-answer question. Not because I don’t have favourites, but because I really, really have a soft spot for bags in general. Which may seem surprising, given that I don’t have very many and don’t really care to own too many but there is difference between appreciating something aesthetically and actually spending the money and storage space on cultivating a collection. 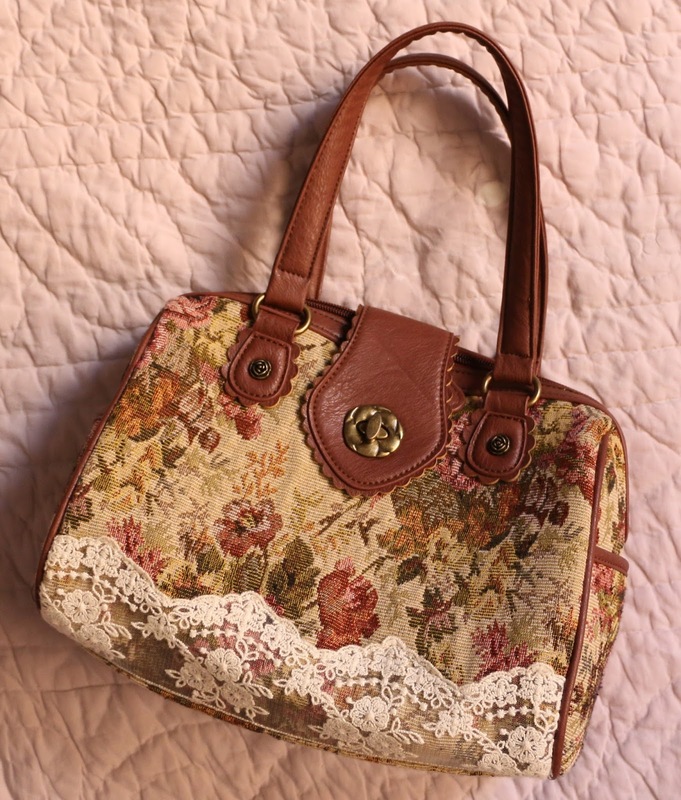 Of my own purses, I have one very clear-cut favourite; my floral gobelin bag from Axes Femme. It’s just gorgeous, goes (though sometimes in a mis-matched way) with nearly every classic outfit I pull together, and I simply adore it! I have a real soft spot for gobelin in general, and florals. 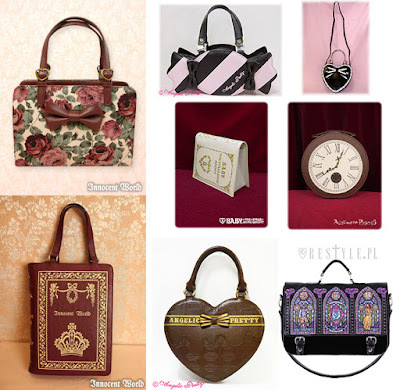 Purses I love but do not own are really too many to name, so have a collage! What’s your favourite purse that you own? What’s your favourite purse that you admire? That's so true: appreciating something and having a collection are two different things that aren't mutually exclusive. The Meta school bags do seem awesome but yeah... agree on the price being a bit prohibitive! I only use bag of necessarity, so no favorites of them I own. But I prefer bags that can be used more than one way. Though I bit in love with MAM 3-way schoolbags, those with small pochette. Secondly they are huge. Fair enough. I agree on versatility being a good feature in a bag. Shaped bags or bags for specific prints! I don't own any because versatility is important to me, but I'm planning my Halloween outfit and thinking "gosh, wouldn't a black cat bag be perfect for this?". I'm more likely to invest in other accessories than bags that only go with one or two things though. Matchy-matchy bags really are fabulous but I'm with you on not being willing to spend much on unique ones.